The bad weather has finally broken, and more people are able to get out there fishing once again. The last few days have been clear and cold, nice winter fishing weather! Last week there were some reports of larger salmon being caught, 15-20 pounds plus. 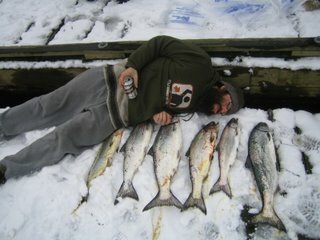 Mark Price from Footloose Charters caught a 26 pounder and 8 pounder, using anchovies, right out front of Sooke Harbour. Later in the week he and his group caught 8 springs, 7-10 pounds. However, from the sounds of things, these big ones have moved elsewhere, as most reports coming in this week have been been back to typical winter springs: 8-10 pounders. Again, the fishing continues to be right off the bottom in 120-150 feet of water, bouncing the bottom with glow hootchies or with anchovies. Roy from Blue Wolf Charters sent in these "Before" and "After" pictures of a fun winter spring fishing day....not from this year, but what the heck. Good times! Press release for an upcoming fishing derby: looks to be quite a big event! 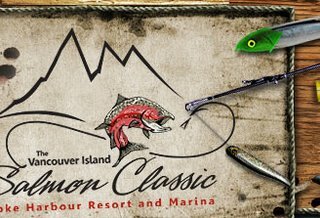 The Vancouver Island Salmon Classic will be held September 3rd, 4th and 5th , 2009 bringing together some of the most skilled anglers in the world to participate in one of BC’s highest prized fishing competitions. A Southern Vancouver Island seaside community will be home to this $175,000 cash prize derby. With a $100,000 first prize, $50,000 second prize and a $25,000 third prize! 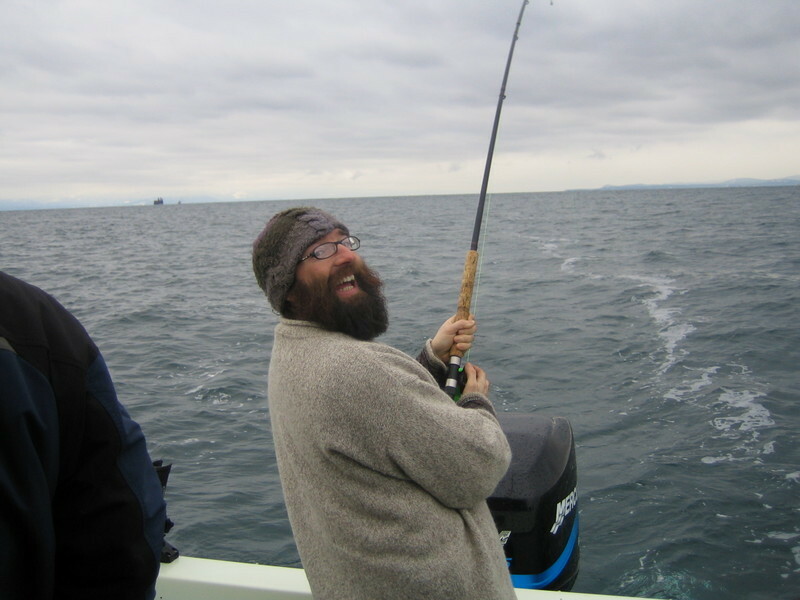 Sooke Harbour is a prime location, known for its natural beauty and accessibility to the sparkling clean waters of the Pacific Ocean, where the much-desired Chinook salmon journey the depths. The quaint community of Sooke is located just 35 minutes from Victoria, British Columbia and 45 minutes from the International Airport. The Vancouver Island Salmon Classic will challenge anglers in a fishing competition located in one of North America’s most fertile fishing grounds, crowning the champions with prize money that only few anglers can imagine. A minimum of 40 teams must be registered by July 15th, 2009 and only a maximum number of 75 teams can participate for the $100,000 Grand Prize! So, get your fishing team together and sign up early to ensure your teams entry! For inquires please contact Matthew Mackenzie, Key Official of the Vancouver Island Salmon Classic, by phone at 1-866-616-3236 or via email to info@salmonclassic.ca. The Vancouver Island Classic is a world-class event, which will be unforgettable for the lucky few that choose to participate!